Outsourcing eCommerce Product Data Entry to the experienced team at Back Office Pro (BOP) can aid businesses in creating a controlled and organized database for maintaining inventory and product information across eCommerce sites. With our highly sought after staff available for human resource planning and engagement, outsource counsel, and single project retainment, BOP is the only choice for eCommerce Data Entry Services. Additionally, we have refined a means for eCommerce companies to off-load their product data entry management teams to BOP, and commit attention to more pertinent business concerns. A fully functioning and structured database streamlines the purchasing process for customers and enables faster search results throughout e-commerce websites. With Product Data Entry from Back Office, entering, converting, and managing product information is efficient and accurate. Our team of experts demonstrates a diverse skill set and a meticulous protocol for planning and obtaining needed resources to fulfill every eCommerce Product Data Entry venture to the most rigorous of standards. FTE professionals adept at navigating the nuances of the eCommerce industry, to execute Product Data Entry projects with precision and commitment to best qualitative practices. eCommerce Product Data Entry Operator Mines volumes of data for specific details according to client provided instructions, and enters information using OCR, ICR, and BCR tools. Knowledge of various formatting programs, and experienced with Word, Outlook, and Excel. eCommerce Product Data Entry Specialist Advanced knowledge of CommerceHub, Magneto, and other eCommerce programs. Exceedingly proficient with Excel, Word, Outlook, and proprietary BOP software. Validates and enhances product information to ensure all products appear as intended on client’s website. Handles data conversion for product catalog purposes and cross-references information using MS Excel. eCommerce Product Data Entry Clerk Well versed in Excel, and possesses expertise in eCommerce platforms and tools such as Magento, Channel Advisor, and Amazon. Additionally, they upload data onto client prescribed databases to suit a variety of eCommerce platforms. Excellent command of grammar and editing to better structure data. eCommerce Project Team Manager Critical thinking skills combined with targeted eCommerce Data Management experience to lend direction, instruction, and training to BOP Product Data Entry teams. Analyzes client’s eCommerce site to ensure uploaded product data is correct and enacts quality control tests. All Product Data Entry specialists and Operators employ complex SEO techniques when uploading product descriptions, stock information, and categories on the client’s site. BOP implements management solutions for Channel Advisor databases for all product attributes, designations, and images so that they best suit client guidelines. Human resource services available to aid clients in their personnel administration goals according to budgetary restrictions. Applied data mining and analysis based techniques for monitoring client competitors, such as their productivity levels, pricing, and popular stock. BOP has designed a process that enables our team to accomplish all outsourcing endeavors and corresponding eCommerce Product Data Entry tasks with adherence to customized client stipulations. Project Appraisal and Bid BOP appraises the breadth of the Product Data Entry project and provides feedback and counsel. Our team then prepares a bid comprised of all applicable information, which is then presented to the client. Commence Training Process BOP commences with our basic training process, which institutes a traditional method of educational tools combined with progressive techniques, successfully transferring the collective knowledge of our product data entry team over to inbound staff members. Price Estimation, Resource Management Planning and Conception Our curated staff prepares price estimation, to the consent of both BOP and the client. We apply our experience and efforts into plans for human resource management and conception of all outsource Product Data Entry action ahead. On-Location Training and Employee Transition Our principle approach to human resource management is built upon personnel contribution and involvement. Thus BOP finalizes the instruction procedures with on-location training and employee transition, personally directed by our highly qualified Product Data Entry team. Establishment of Business Contract Under the guidelines of our best practices model, we establish a contract that thoroughly addresses all outsource Product Data Entry venture points, to be signed by all relevant parties. Of the numerous benefits BOP provides for businesses, we extend our Product Data Entry team to devote consideration and skill to surpassing the expectations of all eCommerce based clients. BOP augments the eCommerce shopping experience through effective use of tagging and keywords, including meticulous keyword research to optimize product search capabilities. 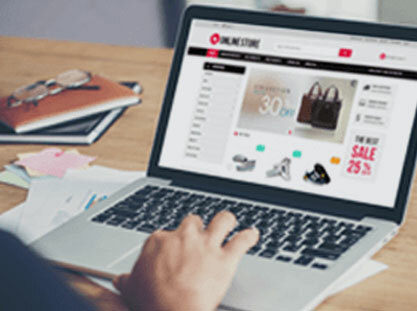 Educated assistance from eCommerce experts for technical integrations related to online feature developments such as content updates, product lifecycle control, price maintenance, and promotion planning. Retain BOP’s product data entry authorities to improve and update website information related to SEO and eCommerce structures. Ensure that product information is refined and organized commensurate to product attributes, specifications, or images. Obtain professional, proactive human resource services so that your business’s product data management team can be off-loaded to the reputable experts at BOP. Access to product data entry specialists who have years of applied experience working with diverse eCommerce platforms and tools, including Magento, Channel Advisor, Amazon, and CommerceHub. Establish a steadfast and well-organized product data management system today when you contact BOP for all of your Product Data Entry requirements.